CLOSE ENCOUNTERS OF THE THIRD KIND Remains Singularly Strange And Genuine | Birth.Movies.Death. Spielberg's sci-fi masterpiece is most ambitious in its honest depiction of humanity. It's nearly impossible to watch Close Encounters of the Third Kind now without comparing it to all of Steven Spielberg's films that followed. And although Spielberg's early sci-fi masterpiece clearly informed his later work on a visual and emotional level, Close Encounters of the Third Kind is a singular, nervy effort - a weird and wonderful entry in Spielberg's filmography, and I hesitate to say that it couldn't get made today. A movie like Close Encounters could very well exist in the contemporary context, though it would be overwrought with CG, given a more traditional narrative structure, and the ending would be far less startling and much more... safe. The very essence of Close Encounters of the Third Kind is an attempt to subvert what is safe, what is usual, what is normal and familiar. Richard Dreyfuss' Roy Neary is a family man living a completely mundane and monotonous life, and the film's most hilarious scene is also the most telling of his status: Roy reading a newspaper and trying to have a banal conversation with his family about their weekend plans, while his son repeatedly smashes a toy doll in the background. It's that repetitive, silly act that informs us of how redundant Roy's life has become - he doesn't have a bad life, nor is it a particularly charmed existence, but he is stuck the way most of us are stuck in our daily habits, relying on that which has become second nature as if we're floating through the days on autopilot. The close encounter that the title suggests brings Roy together with single mother Jillian (Melinda Dillon), whose son has been transfixed and abducted by visiting aliens, and the two form an unspoken, meaningful bond - it is not the bond of survivors, nor the romantic bond of desire, but a connection built on something inexplicable and indescribable, almost as if they have been struck by the genesis of a new feeling never before experienced by any other human being. It's a feeling that has no word to describe it nor definition. So much of Close Encounters of the Third Kind is about actual feeling and genuine response, forgoing the usual plot patterns and generic representations of how human beings should respond. It's easy to point out elements that appear again in subsequent Spielberg films - the shot of Roy and Jillian walking up the hill, as the vision of the mesa that's consumed their thoughts swells into view above them is incredibly similar to the first time we see the brontosauruses in Jurassic Park. Spielberg often uses this style of reveal elsewhere, though the scenes in these two films are nearly identical in both the size of the awe-inspiring object and the exact nature of the revelation. Just as Sam Neill's Dr. Alan Grant is discovering something he's long sought but never expected to actually behold in such tangible glory, so too do Roy and Jillian lay eyes on this particular piece of landscape - a reality they believed in but one they never truly understood as obtainable. 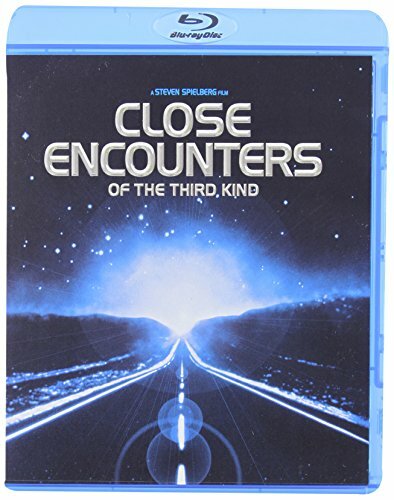 Similarly, specific sequences in Close Encounters echo those in Poltergeist, the film Spielberg later produced (and which he was rumored to have secretly directed). When the aliens visit Jillian's home and abduct her son, it's comparable to the taking - and later, the rescue - of Carol Ann in Tobe Hooper's film. 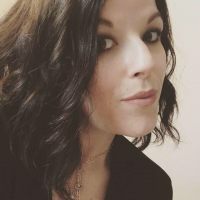 Jillian places her hand on the television as the image of the mountain that has consumed her appears, the same way Carol Ann places her hand on the television, beckoned by the poltergeist inside. The way the objects in the kitchen are rattled about as if possessed is incredibly similar to the ghastly antics in Poltergeist - and like that film, Close Encounters presents an unspeakable, intangible and deeply transformative experience, though the former is outright horrific and the latter inspires awe, even in its most harrowing moments. And yet for these specific similarities to Spielberg's other films, Close Encounters of the Third Kind stands alone as a sort of outlier - it feels like an entirely personal film made without the desire to conform to what is expected or what characters should do. Spielberg's idea of a happy ending involves Roy leaving his exasperated wife and three children behind to join the aliens on their ship. In sharp contrast to contemporary studio films, the ending of Close Encounters is almost entirely bizarre - what modern studio film would allow the protagonist to abandon his family and reject his archetypical place as the male provider to pursue this dream that has become such a singular obsession? Particularly a desire he didn't even know he possessed until he stumbled into its path - it's not as if Roy spent his entire life pondering extraterrestrial life and a world beyond the confines of his own mundane existence, but inspiration often strikes us at the most unlikely times and in the most unexpected places; often we clumsily discover our true passions by coincidence. It's not as if flawed male protagonists don't pursue and achieve their ambitions at the expense of their wives and girlfriends and children - they do, but if a film such as Close Encounters were made today, it would undoubtedly be a family film, and Spielberg's ending rejects those ideals. There's something wholly honest about this ending and Roy's decision to join the aliens on their ship and leave his family - and his banal world - behind. Not only does it feel right for the character, but it feels instinctual, just as so much of Close Encounters feels as though it was built purely on instinct and subjectivity. It only seems like such a strange film now after decades of formulaic sci-fi and studio films, but now, as it was then, Close Encounters is a highly singular piece of cinema that challenges convention - perhaps not always gracefully, but honestly.